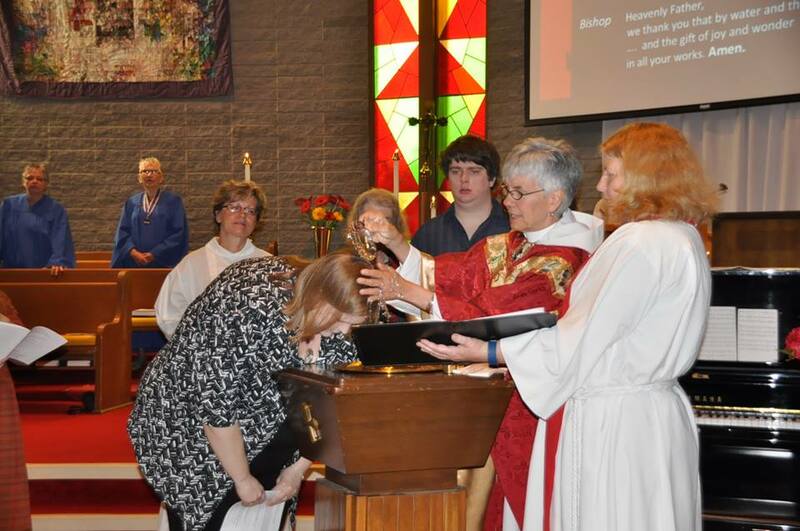 Pentecost was an especially big day at St. Catherine’s. Bishop Melissa made an official visit. 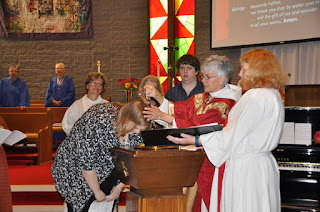 She conducted the morning service, which included a baptism, two confirmations, two reaffirmations of faith and welcoming five people into the Anglican community of faith. After the service, members of the congregation gathered to ask the Bishop questions ranging from how to grow our parish to whether she was going to vote in the US election. 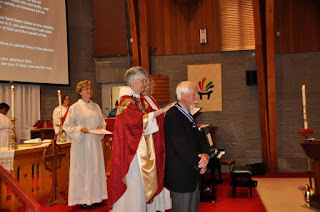 Bishop Melissa’s visit was also an opportunity for her to present the Order of the Diocese to Tony Sauder. Tony was selected for this award almost a year ago, but he was travelling and unable to attend the official award ceremony and service. 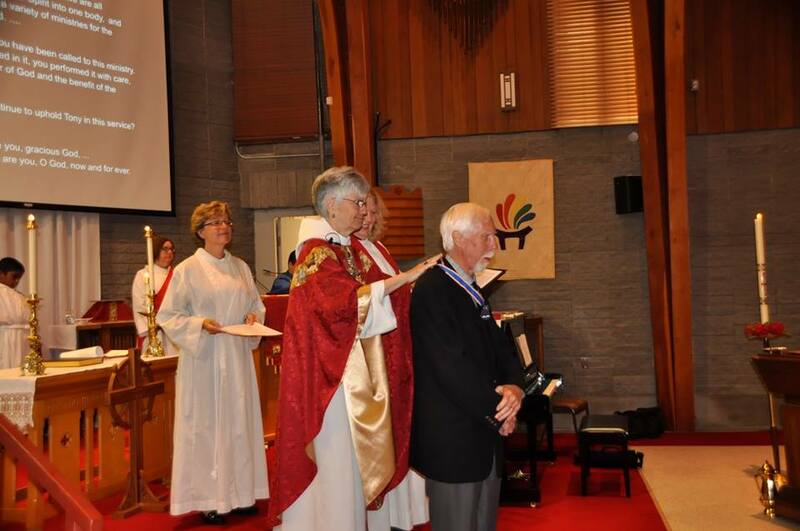 St. Catherine’s is proud of you, Tony, and happy to see you wearing your medal at last.